Sony Computer Entertainment Inc. (SCEI) today announced that cumulative sell through for the PlayStation®4 (PS4™) computer entertainment system worldwide has surpassed 2.1 million units*1 as of December 1, 2013. The number includes the 700,000 units sold through in Europe and Australasia launching on November 29. The PS4 system became available on November 15 in the United States and Canada and on November 29 in Europe, Australasia and Latin America and is now available in 32 countries globally. PS4 consumers embraced the deep social capabilities offered by the PS4 system, including heavy use of live broadcasting on Ustream and Twitch and sharing content through Facebook® and Twitter. PS4 gamers have demonstrated particular interest in the new “SHARE” button on the DUALSHOCK®4 Wireless Controller, with more than 6.5 million shares captured. Gamers worldwide immersed themselves into the PS4 system’s launch lineup of over 20 titles*2 from some of the world’s best developers, including blockbuster titles such as Call of Duty®: Ghosts from Activision, Assassin’s Creed® IV: Black Flag™ from Ubisoft Entertainment, NBA® 2K14 from 2K, Battlefield 4, FIFA 14, Madden NFL 25 and Need for Speed Rivals from Electronic Arts, as well as exclusives Knack™, Killzone:Shadow Fall™ and Resogun™ from SCE Worldwide Studios (SCE WWS). The PS4 system’s games portfolio expands in 2014 with games like the highly anticipated franchise favorite inFAMOUS™: Second Son and MLB 2014: The Show from SCE WWS, as well as brand new IP including Destiny™ from Activision, Watch_Dogs™ from Ubisoft Entertainment, and The Order 1886 and #DRIVECLUB from SCE WWS. All of these titles showcase the power of the PS4 system with breathtaking graphics and breakthrough gameplay experiences. 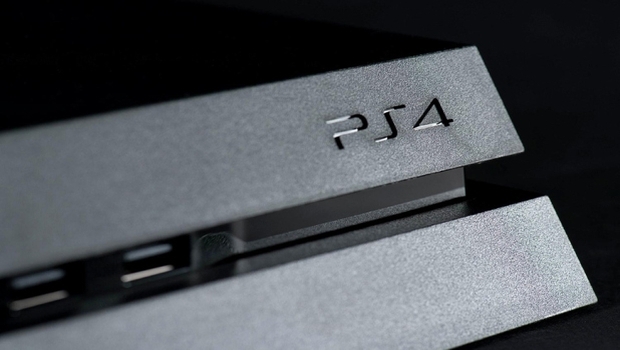 Looking ahead, the PS4 system will evolve through PlayStation’s cloud gaming services, available in the U.S. in 2014. Based on Gaikai Inc.’s cloud-based technology, the service will enable users to have access to a catalog of critically acclaimed PlayStation®3 (PS3™) games on PlayStation 4 and PS3, followed by PlayStation®Vita. I can honestly say that I really haven’t turned off my PlayStation 4 since I got it. Guess I’m one of the happy 2.1 million! Congratulations to the teams on the culmination of their hard work.